In 2008, an internet marketing company by the name of Caputo Media launched a new cigar forum known as Puff.com. In order to create such a large community, the owners of Caputo Media purchased several well-known cigar forums, and then merged them all together, which were then re-branded under the Puff.com name. The Caputo Media website clearly shows the type of business model they have in place. They specialize in purchasing niche communities, and then merge them all together as one, thus re-branding all forums and stripping them of their unique culture. Once the sites are merged and rebranded under a new name, ads are placed all over the site. So many ads are placed all over the website, it dramatically degrades the user experience. 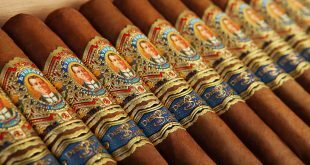 The forums that were purchased were, for the most part, established cigar communities and review databases that had a rich history. CigarPass refused to sell out (which of course led to many negative and false comments by the owners of Puff.com). Club Stogie, Top 25 Cigars and Cigar Live were the three main sites to be gobbled up by Puff. Each community was unique, not only by how the site looked, but the culture in which each community had developed over the years. Long story short, all of the forums were re-branded and merged under a new domain known as the puff.com cigar forums. This led to many upset members, who felt that their community owners sold out only to make a quick profit. Ultimately, it’s the members who lose out in the end. Below is a brief comparison of puff.com vs CigarPass. Bottom line, the puff cigar forums exist only to generate income for Caputo Media (the company which owns Puff). If you look at their history, you’ll notice they specialize in purchasing niche communities and merging/rebranding all forums into one large site. The new site that is created is flooded with ads, even video ads that auto play. Members are no longer part of a community, rather they’re a commodity in which the owner benefits from every hit, ad play, etc. When Caputo Media purchased the cigar forums, they stated that they wanted to create a “voice for the cigar community”, which turned out to be a fallacy to generate a false sense of security for the many members they acquired. The main intent behind Puff.com is to generate income using a mass amount of ads. We have the CRA (www.cigarrights.org) who give the cigar community a voice. As of Sept, 2014 – Puff appears to have been shut down.